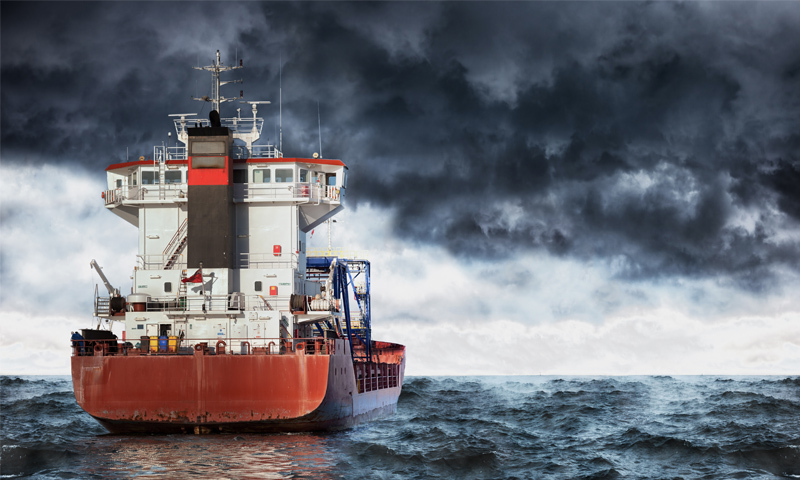 UCL-Energy, Global Maritime Forum, Carbon War Room, and the Carbon Pricing Leadership Coalition (CPLC) today announced the launch of a Task Force on Decarbonizing Shipping. This industry-led initiative will develop tangible pathways for shipping’s decarbonization through five working groups, each focussed on a key area of the industry. Outcomes of the task force will be presented at the Global Maritime Forum’s inaugural summit in October 2018. The Task Force on Decarbonizing Shipping will bring together leaders and experts from across the maritime industry to develop and mobilise the industry along tangible pathways aligned with ambitious, science-based emission reduction targets. It will focus on five areas key to effectively addressing the maritime industry’s climate challenge: industry leadership, technology, transparency, finance, and carbon pricing. These areas were identified as central to decarbonizing shipping at an exploratory industry workshop held in London in June 2017. The task force will develop a vision for collaborative innovation on low carbon technologies; toolkits and guidance to increase transparency about operational efficiency; a best practice guide for incorporating climate risk assessment in ship finance; and recommendations on the role of carbon pricing in tackling emissions. All outcomes will be presented at the Global Maritime Forum’s inaugural summit in October 2018. 1. Industry Leadership – This working group will connect and mobilize CEOs and other high-level decision-makers and thought leaders to determine an ambitious and achievable vision for decarbonizing shipping. 2. Technology – This working group will accelerate the uptake of clean technology solutions by addressing the challenges facing owners and innovators alike. It will develop a toolbox to help technologies overcome the high-cost, low-revenue valley of death so that they can achieve viable commercial uptake. The group will focus on proven breakthrough technologies currently entering the market and outline a vision and roadmap for how the industry can work together on the development of low carbon technologies. 3. Transparency – This working group will determine how information transparency can be improved to reduce information asymmetry and allow for effective decision-making on efficient and profitable operations. 4. Finance – This working group will develop principles for integration of climate risk into lending decisions as well as foster development of best practices and tools to support their uptake. This will be achieved through one-on-one work with leading capital providers and a series of industry workshops. 5. Carbon Pricing – This working group will explore the role of carbon pricing in tackling shipping’s greenhouse gas emissions. Key policy options will be summarised for business leaders as a basis for the discussion of industry recommendations. For any further information, please contact Global Maritime Forum Head of Communications Torben Vemmelund at tve@globalmaritimeforum.org or +45 2224 1446. The Global Maritime Forum is a Copenhagen-based international not-for-profit foundation dedicated to unleashing the potential of the global maritime industry. It is committed to shaping the future of global seaborne trade to increase sustainable long-term economic development and human wellbeing. To serve its mission, the Forum convenes leaders from across the maritime community with policy-makers, NGOs, experts, and other influential decision-makers and opinion shapers from all geographies in a community of purpose to discuss collective challenges and to work together on developing new solutions and recommendations for action. In order to do so, the Forum identifies, develops and shares new insights and key issues on the global agenda and facilitates collaborative projects and initiatives that can deliver long-term impact and sustainable change. The Global Maritime Forum is independent of political and commercial interests and operates in full respect of the important role played by governments and international institutions. Carbon War Room (CWR) was founded in 2009 as a global nonprofit by Sir Richard Branson and a group of like-minded entrepreneurs. It intervenes in markets to accelerate the adoption of business solutions that reduce carbon emissions at gigaton scale. In 2014, CWR merged with and now operates as part of Rocky Mountain Institute (RMI). RMI engages businesses, communities, institutions, and entrepreneurs to transform global energy use to create a clean, prosperous, and secure low-carbon future. RMI has offices in Basalt and Boulder, Colorado; New York City; Washington, D.C.; and Beijing. The Carbon Pricing Leadership Coalition aims to bring together leaders from across government, the private sector, and civil society with the goal of putting in place effective carbon pricing policies that maintain competitiveness, encourage innovation, and deliver meaningful emissions reductions. As of 2017, the CPLC has more than 25 national and sub-national government partners, 150+ private sector partners from a range of regions and sectors, and 30+ strategic partners representing NGOs, business organizations, and universities. UCL is among the world’s top universities as reflected in performance in a range of national and international rankings. UCL Energy Institute has, since its launch in June 2009, developed a strong national and international reputation for energy demand and energy systems research. The shipping research group at UCL Energy Institute consists of around 15 researchers and PhD students, involved in a number of on-going projects, through UMAS (www.u-mas.co.uk), funded through a mixture of research grants and our consultancy. The group undertakes research both using models of the shipping system, shipping big data and qualitative and social science analysis of the policy and commercial structure of the shipping system. The research activity is centred on understanding patterns of energy demand in shipping and how this knowledge can be applied to help shipping transition to a low carbon future. The shipping research group is world leading on two key areas; using big data to understand trends and drivers of shipping energy demand or emissions and using models to explore what-ifs for future markets and policies.